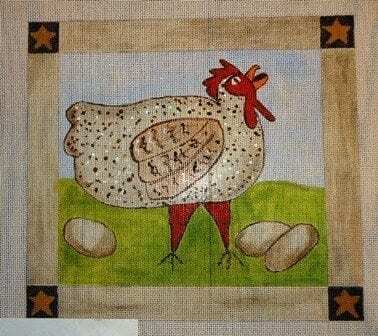 This is called Funky Speckled Chicken by the artist and I think she looks like Folk Art. This chicken is pretty happy that she’s laid 3 eggs and is cackling it to the wind. 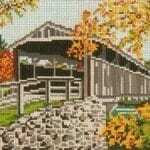 Bordered by 4 stars this is a homey, friendly piece you’ll enjoy stitching. 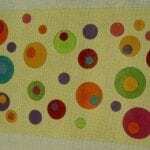 Painted on 18 ct, this measures 10 x 9″. Check out the Funky Americana Chicken too! 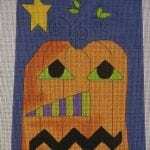 SKU: 406-A486-B2 Categories: Painted Canvas, SALE!